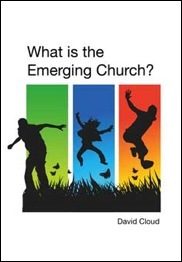 The following is excerpted from WHAT IS THE EMERGING CHURCH? This is a thorough examination of the emerging church, a name that describes a new approach to missions and church life among some “evangelicals” for these present times. Nothing has made us more conscious of the vicious battle that is raging for the very life and soul of Bible-believing churches than the research into the emergent church. It is frightful, because so many are falling into devil’s trap and so many more will doubtless fall in the coming days. At the same time, it is exciting, because it reminds us that the hour is very, very late and we need to be busy in the Lord’s service and always “looking up.” I have made a great effort to understand the emerging church. In the past several months I have read more than 80 books and a great many articles by emerging church leaders and their teachers. In reality, the emerging church is simply the latest heresy within the broad tent of evangelicalism. When the “new evangelicalism” swept onto the scene in the late 1940s, with its bold repudiation of “separatism” and its emphasis on dialogue with heretics, the door was left open for every sort of heresy to infiltrate the “evangelical” fold, and that is precisely what has happened. The Bible does not warn in vain, “Be not deceived: evil communications corrupt good manners” (1 Corinthians 15:33). OUTLINE: I. What Is the Emerging Church? II. A Great Blending and Merging. It is difficult to draw a strict line between the two streams of the emerging church, because there is a blending and merging going on that will cause all lines to be blurred eventually. III. The Liberal Emerging Church and Its Errors. IV. The Conservative Emerging Church and Its Errors. V. Cain the First Emerging Church Worshiper. VI. Charles Spurgeon Exposed the Emerging Church. VII. Index. 489 pages. 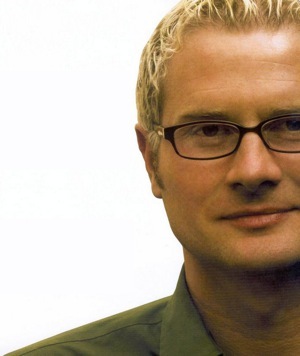 Rob Bell (b. 1970), the author of Velvet Elvis: Repainting the Christian Faith (2005), is pastor of Mars Hill Bible Church in Grandville, Michigan. In the January 2007 issue of The Church Report, Bell was named #10 in their list of “The 50 Most Influential Christians in America” as chosen by readers and online visitors. He also produces the popular series of short films called NOOMA. The thesis of Velvet Elvis is that Christianity is a never-completed art project. Bell begins by describing a painting of Elvis Presley that he has in his basement, and says that since no portrait of Elvis can be thought of as the final word, likewise no doctrinal statement can be thought of as absolute. He says that Christianity is an endless process of rethinking the Bible and likens his non-dogmatic theological position to jumping on a trampoline. He says that doctrine should be elastic and flex and stretch like a trampoline (p. 22). This dangerous book is very popular and influential and can be found at places like Family Christian Stores and the Southern Baptist Convention’s Lifeway Christian Bookstores. The following statements document Bell’s heretical view of the Bible, which is his foundational error. “They [the New Testament epistles] aren’t first and foremost timeless truths. ... The Bible is not pieces of information about God and Jesus and whatever else we take and apply to situations as we would a cookbook or an instruction manual. And while I’m at it, let’s make a group decision to drop once and for all the Bible-as-owner’s-manual metaphor. It’s terrible. It really is. ... We have to embrace the Bible as the wild, uncensored, passionate account it is of people experiencing the living God” (Velvet Elvis, pp. 62, 63). “The Christian faith is mysterious to the core. It is about things and beings that ultimately can’t be put into words. Language fails. And if we do definitively put God into words, we have at that very moment made God something God is not” (p. 32). To say that God can’t be definitely put into words is to say that the Bible’s words are fallible. Bell claims that the apostles, in their writings in the Bible, didn’t “claim to have the absolute word from God” (p. 57). Bell admits that he and his wife have been powerfully influenced toward non-dogmaticism by Brian McLaren’s A New Kind of Christian. McLaren is a major voice in the emerging church. “The Bells started questioning their assumptions about the Bible itself--‘discovering the Bible as a human product,’ as Rob puts it, rather than the product of divine fiat. ‘The Bible is still in the center for us,’ Rob says, ‘but it’s a different kind of center. We want to embrace mystery, rather than conquer it’” (“The Emergent Mystique,” Christianity Today, Nov. 2004). This is a sad and frightful statement and a very loud warning to those who are dabbling with emerging church writings. Bell’s wife, Kristen, says: “I grew up thinking that we’ve figured out the Bible, that we knew what it means. Now I have no idea what most of it means, and yet I feel like life is big again--like life used to be black and white, and now it’s in color” (Kristen Bell, quoted in “The Emergent Mystique,” Christianity Today, Nov. 2004, p. 38). Kristen Bell told Christianity Today that their “lifeboat” out of the “black and white” dogmaticism of old Biblical Christianity was Brian McLaren’s A New Kind of Christian. Bell is confused about salvation and God’s program for the church age. “The Bible paints a much larger picture of salvation. It describes all of creation being restored. ... Rocks and trees and birds and swamps and ecosystems. God’s desire is to restore all of it. ... A Christian is not someone who expects to spend forever in heaven there. A Christian is someone who anticipates spending forever here, in a new heaven that comes to earth. THE GOAL ISN’T ESCAPING THIS WORLD BUT MAKING THIS WORLD THE KIND OF PLACE GOD CAN COME TO. ... To make the cross of Jesus just about human salvation is to miss that God is interested in the saving of everything. Every star and rock and bird. All things” (Velvet Elvis, pp. 109, 110, 150, 161). Bell says that “the most powerful things happen when the church surrenders its desire to convert people” (Velvet Elvis, p. 167). His counsel is that “THE CHURCH MUST STOP THINKING ABOUT EVERYBODY PRIMARILY IN CATEGORIES OF IN OR OUT, SAVED OR NOT, BELIEVER OR NONBELIEVER.” He calls Christ’s way “the best possible way to live” and says that Jesus did not claim one religion is better than another when he said he was “the way, the truth and the life.” Rather, “his way is the way to the depth of reality” (“‘Velvet Elvis’ Author Encourages Exploration of Doubts,” Beliefnet, 2005). Bell describes a wedding of two pagan unbelievers. They had been living together in fornication and wanted to “make it official” and asked him to perform the ceremony. They told him that “they didn’t want any Jesus or God or Bible or religion to be talked about” but “they did want me to make it really spiritual” (Velvet Elvis, p. 76). He agreed with this ridiculous request and claims that the wedding “resonated with the peace and harmony of unsoiled nature” because “God made it unspoiled by speaking it into existence” (p. 92). He thus denies the fall of creation. He then says that “in the deepest sense we can comprehend, MY FRIENDS ARE RESONATING WITH JESUS, WHETHER THEY ACKNOWLEDGE IT OR NOT” (p. 92). Thus, he would have us believe that this couple is allegedly blessed of God and resonating with Jesus even though they have rejected Jesus, God, and the Bible! Bell defines hell as “a way, a place, a realm absent of how God desires things to be” (Velvet Elvis, p. 147). He says it is “disturbing” “when people talk more about hell after this life than they do about hell here and now” (p. 148). But the Bible nowhere uses the term hell to describe something that exists in this present life. Bell’s church searched for a bass player for their worship team that could play “in the style of Jimmy Eat World and Coldplay [secular rock bands]” (“The Emergent Mystique,” Christianity Today, November 2004). In typical emerging church fashion, Bell exalts doubt. He claims that God gives men “the invitation to follow Jesus with all our doubts and questions right there with us” (Velvet Elvis, p. 28). He says, “We sponsored a Doubt Night at our church awhile back. People were encouraged to write down whatever questions or doubts they had about God and Jesus and the Bible and faith and church” (p. 29). He says, “Questions bring freedom” (p. 30), and, “Questions, no matter how shocking or blasphemous or arrogant or ignorant or raw, are rooted in humility” (p. 30). The Bible, though, exalts faith. “But without faith it is impossible to please him: for he that cometh to God must believe that he is, and that he is a rewarder of them that diligently seek him” (Heb. 11:6). Jesus rebuked those who doubted (Mat. 6:30; 8:26; 14:31; 16:8) and praised those who had faith (Mat. 8:10; 15:28). He taught that faith is one of the weightier matters of the law (Mat. 23:23) and instructed the people to have faith in God (Mk. 11:22). Zacharias was judged for doubting (Luke 1:20). James says those who doubt can receive nothing from the Lord (James 1:6-8). Christian men are exhorted to praise God without doubting (1 Tim. 2:8). To doubt is sin (Rom. 14:23). The Bible teaches that we must come to terms with doubt; it must be dealt with; it must be resolved. The Psalmist momentarily doubted in Psalm 73, but his doubt was resolved in the same Psalm and he saw himself as a foolish beast for doubting God. John the Baptist doubted when he was in prison, but Jesus settled his doubt by doing Messianic miracles and thus reminding John that He is the One who was promised and also warning that it is those who are not offended in him that are blessed (Luke 7:19-22). On the cross, Jesus cried, “My God, my God, why hast thou forsaken me?” (Mat. 27:46), but this was not unresolved doubt; the question He asked is clearly resolved in Scripture. God the Father forsook the Son on the cross because He was bearing the sins of the world (Isaiah 53:5-6; 2 Corinthians 5:21; Galatians 1:4). Jesus’ question was answered. It is fine to ask sincere questions in the honest search for the truth, but it is evil to entertain questions that deny Bible truth. If the Bible says all unbelievers will suffer conscious eternal torment in fire, which it does, we must not entertain questions that speculate if this is a just punishment. If the Bible claims to be the infallible Word of God, which it does, we are not to question how this could be possible. If the Bible says we are not to love this world, which it does, we are not to question whether this might be a narrow, “legalistic” position. Our questions must be controlled by the Bible, not the Bible by our questions. “The secret things belong unto the LORD our God: but those things which are revealed belong unto us and to our children for ever, that we may do all the words of this law” (Deut. 29:29). In his book Velvet Elvis, Bell gives a glowing recommendation of the New Age philosopher Ken Wilber. Bell recommends that his readers sit at Wilber’s feet for three months! “For a mind-blowing introduction to emergence theory and divine creativity, set aside three months and read Ken Wilber’s A Brief History of Everything” (Velvet Elvis, p. 192). “... it is true that there is some sort of Infinite, some type of Absolute Godhead, but it cannot properly be conceived as a colossal Being, a great Daddy, or a big Creator set apart from its creations, from things and events and human beings themselves. Rather, it is best conceived (metaphorically) as the ground or suchness or condition of all things and events. It is not a Big Thing set apart from finite things, but rather the reality or suchness or ground of all things. ... the perennial philosophy declares that the absolute is One, Whole, and Undivided” (p. 6). Velvet Elvis is filled with straw man argumentation. Bell claims that Jesus is already with people even in their false religions, thus “the issue isn’t so much taking Jesus to people who don’t have him, but going to a place and pointing out to the people there the creative, life-giving God who is already present in their midst” (Velvet Elvis, p. 88). In his zeal to show how wrong traditional missionary work is he says that “some people actually believe that God is absent from a place until they get there” (Velvet Elvis, p. 88). I don’t know anyone who believes that God is absent from a certain place until a gospel missionary goes there. We know that God is everywhere present and gives to all men life and breath and every blessing that they enjoy (Acts 17:25). But we also know that God is only present in His soul-saving power through the gospel, and that is why Jesus commanded us to preach the gospel to every person. Those who believe are saved and those who do not believe are damned (Mark 16:15-16). I will give one more example. Bell describes a Christian who doesn’t attend secular university because she had “been taught that Christianity is the only thing that’s true” and “that there is no truth outside the Bible” (Velvet Elvis, p. 81). Again, I don’t know anyone who believes this. The world is filled with things that are true in various fields, such as mathematics, but the Bible is true in a unique way. It is the only infallible revelation from God about salvation, and it is the touchstone for truth in a dark world. The emerging church employs straw man theology, and it works very well for the ill-informed and for rebels. Bell says Christ has given believers the authority to come up with new interpretations of the Bible (p. 50), and to prove this he quotes Matthew 16:19. “And I will give unto thee the keys of the kingdom of heaven: and whatsoever thou shalt bind on earth shall be bound in heaven: and whatsoever thou shalt loose on earth shall be loosed in heaven.” But Christ has not given Christians the authority to come up with perpetually new interpretations of the Bible, and Matthew 16:19 has nothing to do with such a thing. The statement is addressed to Peter, not to Christians in general. To Peter Christ gave the keys of the kingdom of heaven, and Peter used those keys for the Jews when he preached the gospel on the day of Pentecost and for the Gentiles when he preached the gospel to Cornelius and his friends in Acts 10. That Christ did not give Christians the authority to come up with new interpretations of the Bible is evident from the fact that He warned His disciples to beware of false prophets (Mat. 7:15). If new interpretations of doctrine are proper, it would be impossible to identify a false prophet.